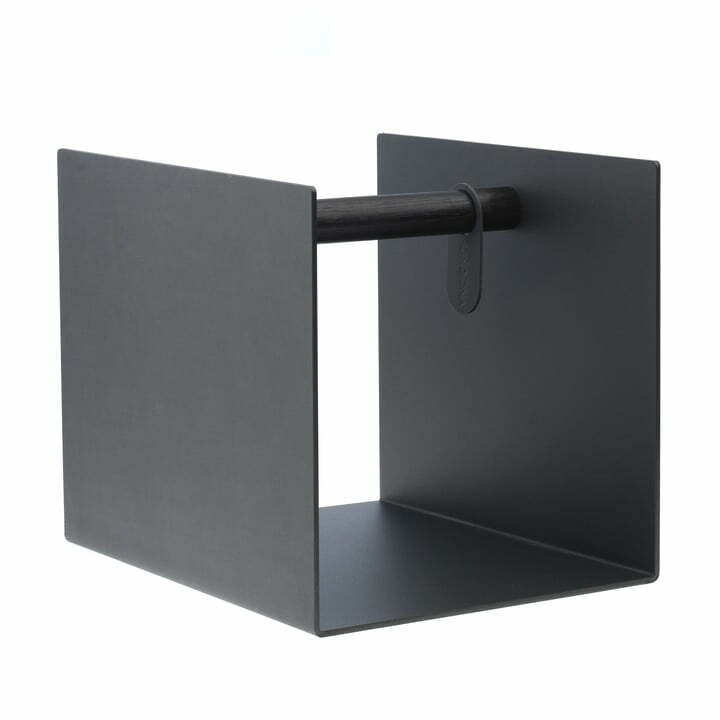 The container by LindDNA has many functions. 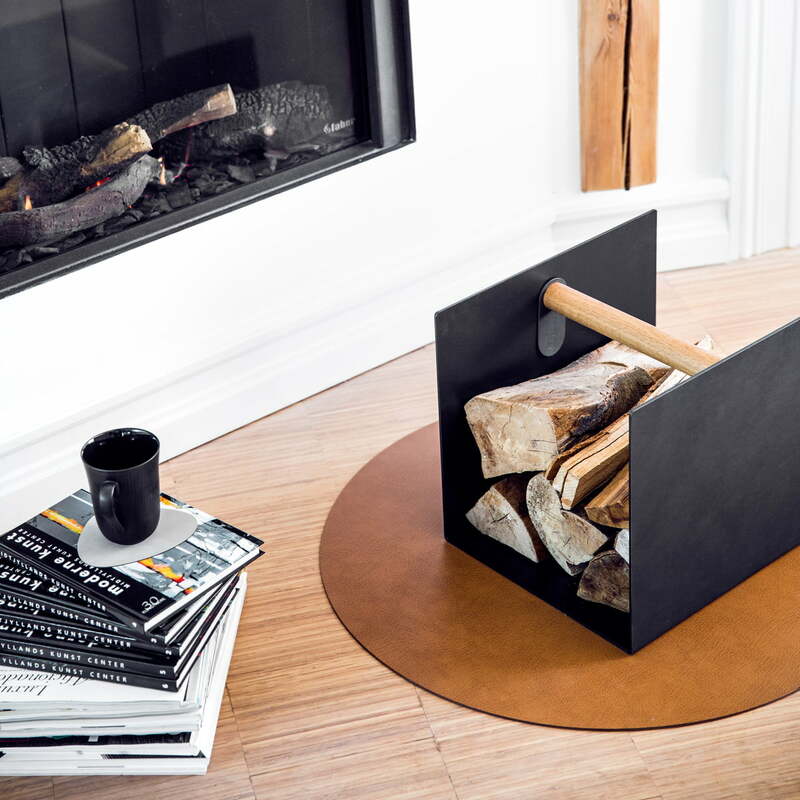 The box made of aluminium and recycled leather with a handle made of Danish oak can be used as storage for blankets, or wood by the fireplace, as a laundry basket, or as a magazine holder. If the container is turned over, it becomes a small table. 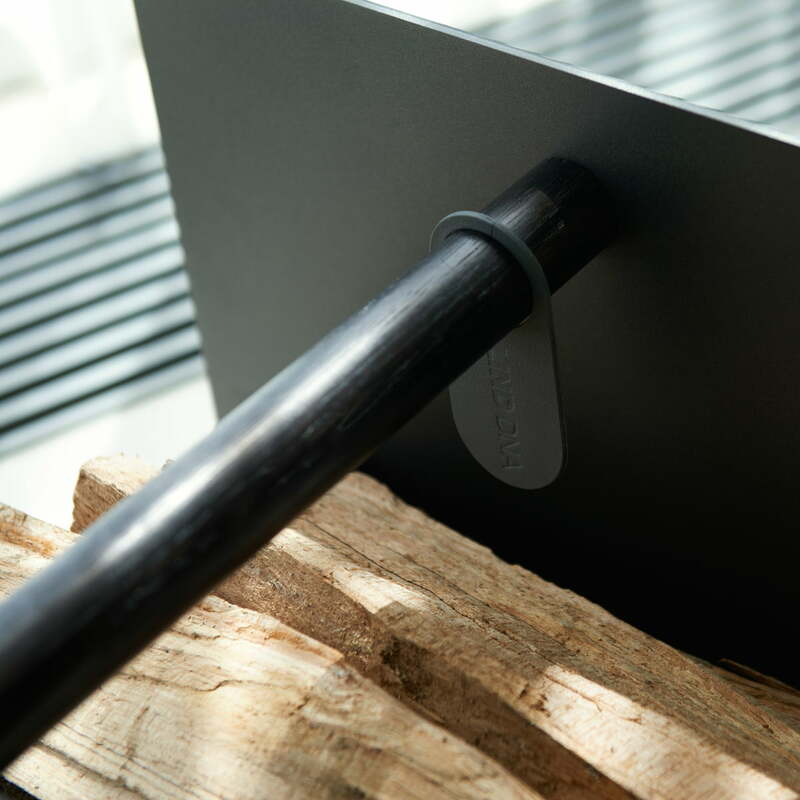 The box can easily be carried to its next job and is highly versatile thanks to its handle. 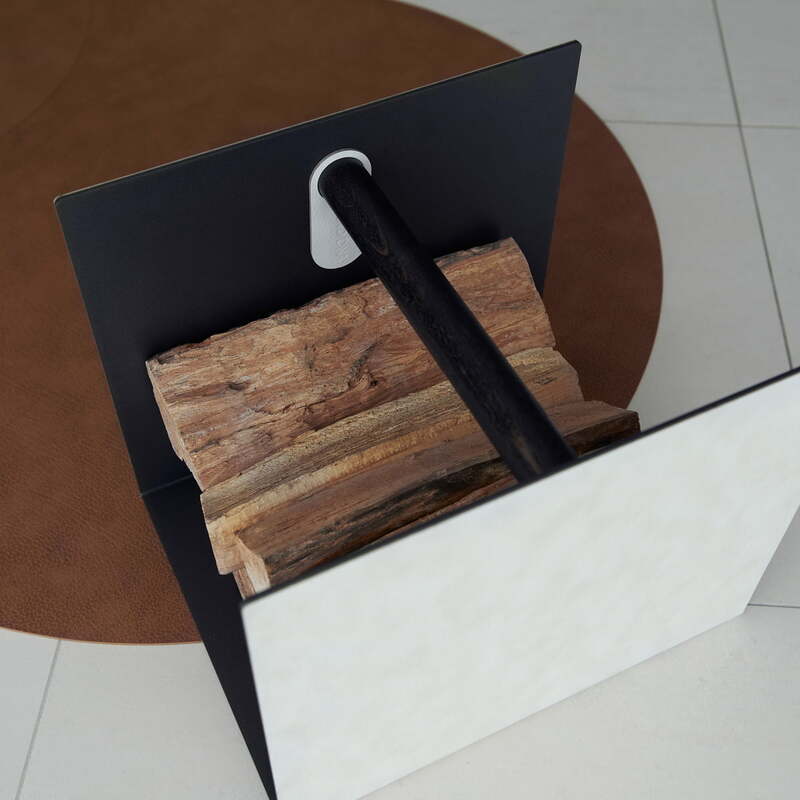 The leather used by LindDNA comes from leather scraps, acquired from the production of bags, shoes and other items of clothing which are then cut into small pieces and reconnected with natural rubber. 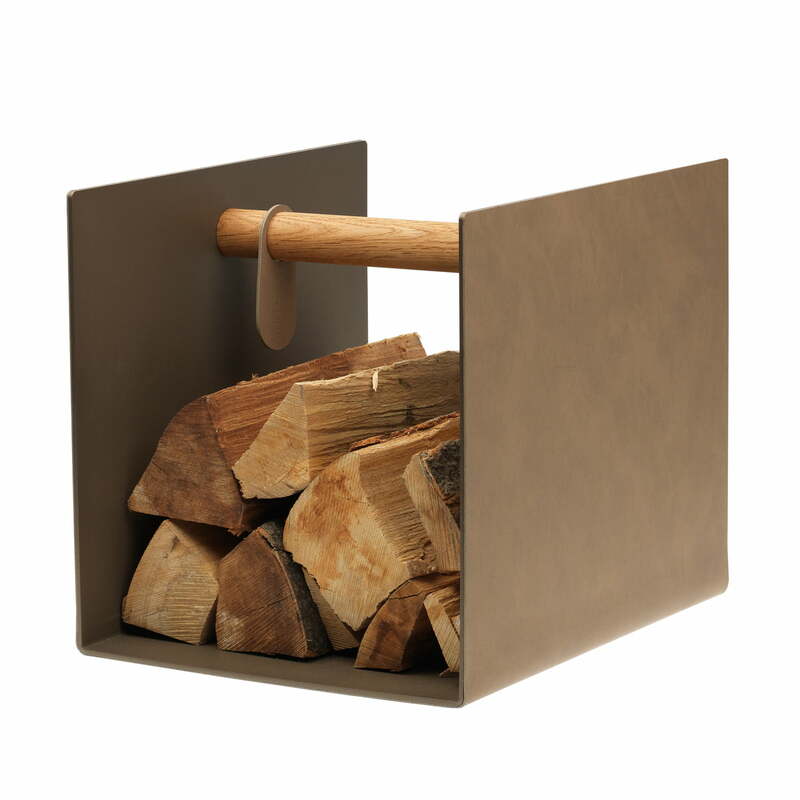 The resulting material is made of 80% leather and 20% rubber. The recycled leather is available in four different leathers (Buffalo, Bull, Cloud and Nupo), which can be produced in any color. The recycling process means that the leather is not only recyclable but also water and dirt repellent, making it easy to clean. 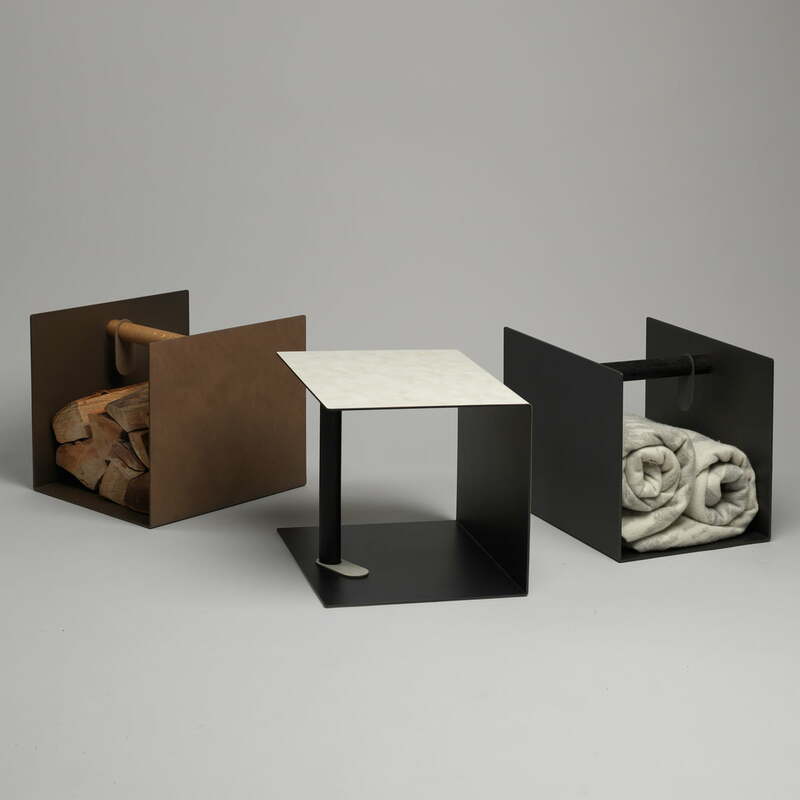 The container by LindDNA is available in different colors in the soft leathers Nupo and Cloud. 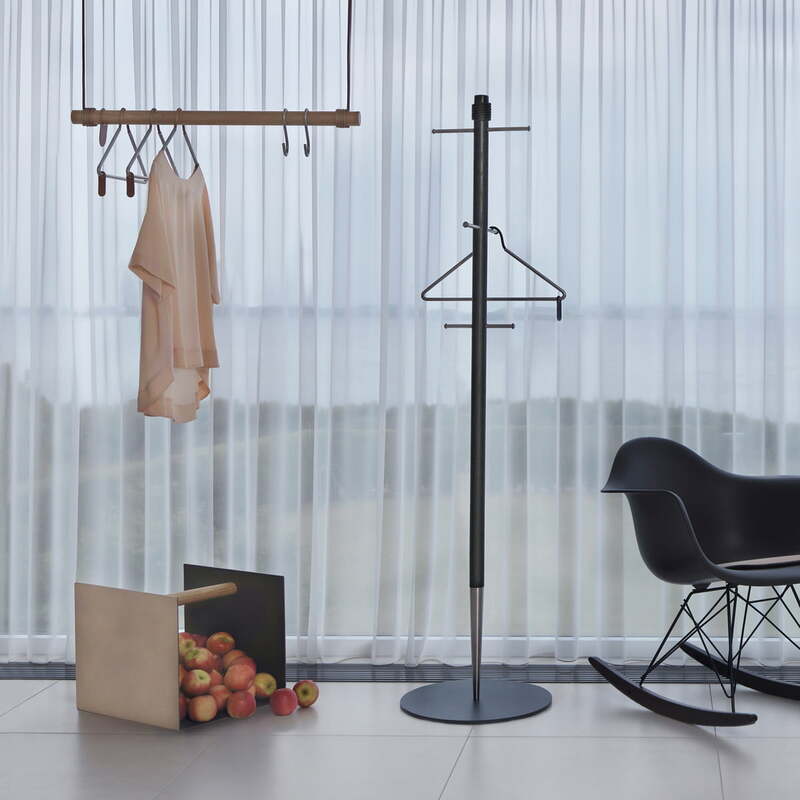 Lifestyle product image: The Pencil wardrobe, Container, and the Swing hanging coat rack by LindDNA enrich the entrance area and offer enough storage space for clothes.